13 Fall Dates To Warm Your Heart! We love this time of year. The color, the cooler temperatures, the scents and most of all, the food. Everything is focused on warming your heart. In an effort to help make this Fall the best it can be, we’ve raked up 13 Fall Dates from which to choose. Since we are taking the 1/2 Marathon Blog Challenge this month with the Christian Marriage Bloggers Association, we thought it would be fun to post one Fall Date Idea each day of the challenge, which last for 13 days. We hope you’ll come back each day for another great idea. How often do we throw food together without much thought or effort? Life demands we eat on the fly much of the time. Why not plan a special 3-course dinner that expresses your love for your spouse? Choose from the following list or use recipes you know you love. Buy miniature pumpkins and carve out the center to hold a tealight candle. 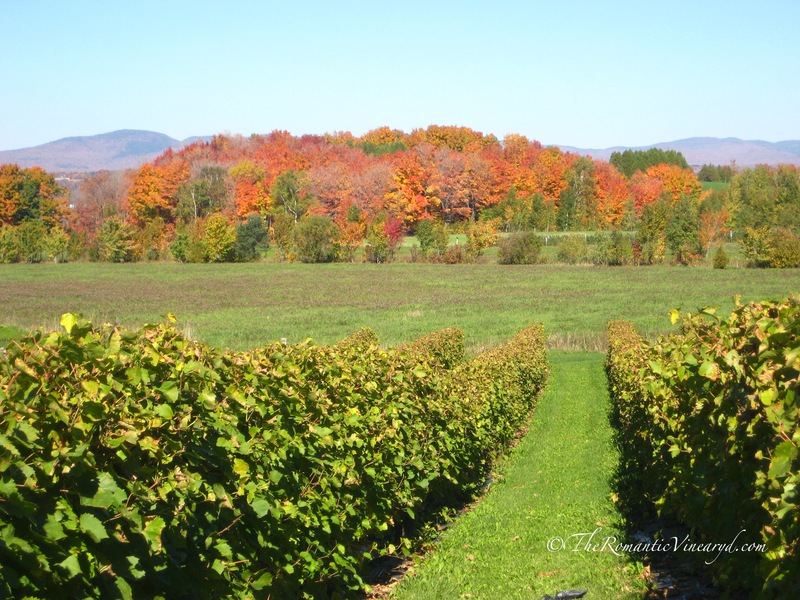 For an added bonus order the Living Landscape DVD of New England in the Fall. You could have this playing during dinner, or sit down to watch it together with after-dinner coffee. This is sure to help you “Fall” in love all over again with each other and with the tastes of the season. What recipes do you enjoy in the Fall? This is post #1 in the CMBA 1/2 Marathon Blogging Challenge to post everyday for 13 days in October. This entry was posted in Christian Marriage, Creative Dates, Date Night Ideas, Dating Your Spouse, Dinner Dates, Fall Date Ideas, Romance in Marriage and tagged Apple, Bacon, Cooking, Date Night Ideas, Dessert, Dinner, Dinner Date, Fall Date Ideas, Fall Recipes, New England, Pumpkin, Sweet Potato. Bookmark the permalink. 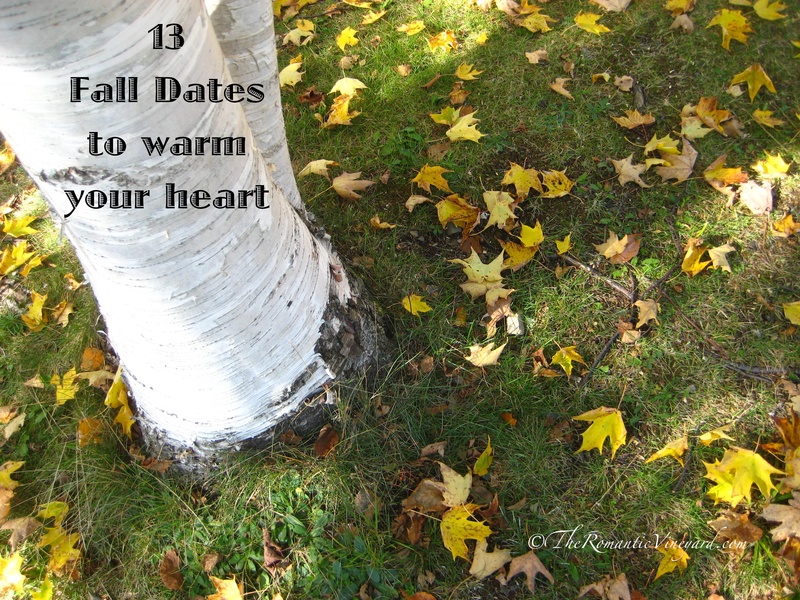 22 Responses to 13 Fall Dates To Warm Your Heart! I’m always looking for creative date ideas. What a great way to get the fall started! T – We pray you’ll find our ideas helpful in making the most of romancing your spouse during this most beautiful time of year. With the impending chilly weather, some mediterranean stew and snuggling with my honey sounds great! Sherry, Tom and I are actually away for the month to watch the leaves change their colors slowly. I’m a Florida girl, so this is a first for me. We went from 85+ degrees at home to barely 60 degree weather. Loving the fall season. Mediterranean stew sounds wonderful–do you share the recipe? Fall is my husband’s favorite season and we chose to have our wedding in the fall for that reason. He would love to do this! Fall weddings are beautiful–my favorite colors. Thanks for sharing. Fall is my favorite season! These are some excellent ideas, Debi! Debi – You have such a gift for brilliant date ideas. May I suggest it be the topic of your NEXT book?! Great date, Debi! Love the “love leaves” idea… I can imagine adding to and keeping them from year to year. If you describe how you’re thankful for your spouse, you’ll see the changes in the relationship as the years go by! Yes, Robert and Lori, we have seen the changes as we enter the Fall of our marriage – 33 1/2 years. Amazing to think of it. Haha! Leave it to you, Bonnie! Pun intended! My husband and my favorite’s are pumpkin pie, roasted turkey tenderloin with cranberries and pears, and family favorite, my homemade apple cider. I love the fall leaves love notes idea. Will definitely have to use it! Homemade apple cider? Please share that recipe – sounds delicious! Great tips. Fall is also our favorite time of year and here in the mountains we have some fun places to go for date days. We will be reading the rest of your tips and adding some new ideas to what we like to do. Thanks. Thanks Janet. Please share any ideas – we’d love to hear. Cassandra, Let us know how it goes. We love the feedback.